Last year I did make a posting about counting all the provinces I had been in Thailand. And I saw I have been to (stayed in) 48 provinces out of the 76. So in the coming months I will travel via my postings from the most southern province I have been to the most northern province, with some photos and information about each province. This is part 12 of the 47 (out of the 77) provinces where I have at least stayed overnight once. 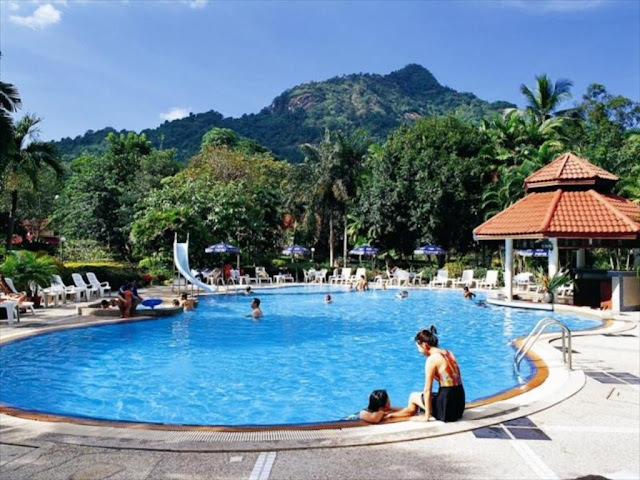 Nakhon Nayok province is located north-east of Bangkok and because it is the nearest upcountry province from Bangkok it is a popular weekend destination for people from Bangkok. 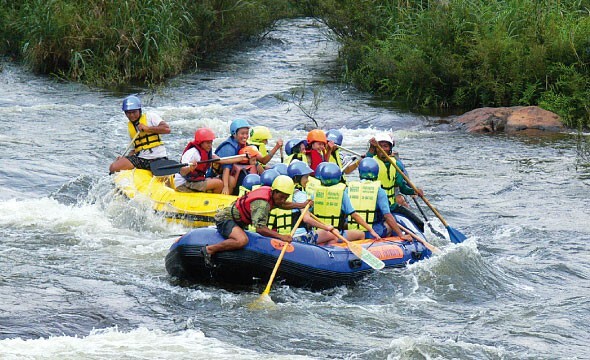 Nakhon Nayok province can easily be reached from Bangkok by car, motorbike (route 305) or bus. There is no airport or train station. Personally I did travel many times thru Nakhon Nayok province from Pattaya to Khorat or North Thailand. 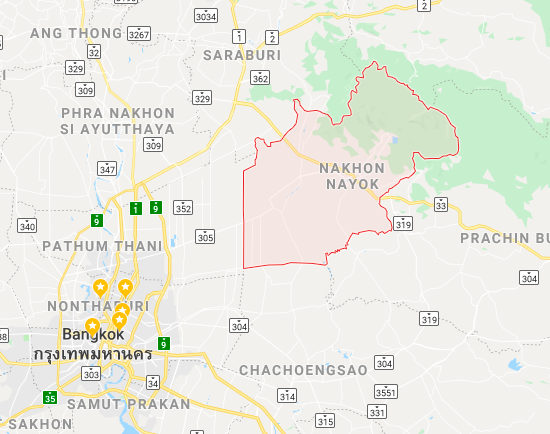 And when living in Bangkok I would sometime also go for the weekend to Nakhon Nayok as the province is bordering the mountain range of Khao Yai National Park with rivers and waterfalls. Like the Klong Tha Dan Lake and the Wang Tha Krai Waterfall. But in those days I did make not much photos so the photos are not mine, but reflect my travel experience in Nakhon Nayok.